Home Student Life What is Sleep Deprivation? Sleep deprivation is a problem for many teenagers. Sometimes they’ll find it hard to fall asleep at night or struggle getting to bed early. 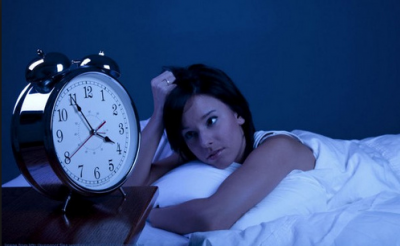 According to the American Academy Of Sleep Medicine, sleep deprivation is an insufficient sleep syndrome. Being in this condition could mean lacking the essentials that sleep provides for the body. Sleep restores the day’s worth of damage and replenishes energy leaving the body feeling refreshed and ready to go. Not only does sleep help boost the body’s immune system, but it also affects how someone feels throughout the day. Without the proper amount of sleep, the body can undergo health issues both physically and mentally. This could mean a decline in productivity whether it be work or school. With the body receiving a minimal amount of downtime, symptoms like unusual behavior, and impulsive actions become problematic in people. In 1959, author and scientist, Eugene Bliss, conducted a study on the mental status of schizophrenic, and sleep deprived patients. According to the National Institute of Mental Health, or (NIMH), schizophrenia is a disorder that affects how someone thinks, feels, and behaves. In the study, Bliss found that the minds of schizophrenic patients were cloudy, similar to the mind of deprived patients. Bliss also found that patients diagnosed with schizophrenia displayed symptoms of moodiness, irritability, and fatigue. These symptoms of schizophrenia were identical to the symptoms found in patients who were sleep deprived. “Many are diagnosed incorrectly as being schizophrenic,” Bliss said. While the study progressed, both mentally disrupted patients began to hallucinate over time from mild to severe. These hallucinations not only further perpetuated the instability of their minds but also kept them from sleeping, thus worsening the issue. With the clear mental toll demonstrated in the study for sleep-deprived patients, knowing how much sleep the body needs to function properly is vital. According to The U.S. Centers for Disease Control and Prevention, 30% of Americans don’t get the proper amount of sleep. That’s over 40 million people. Every sleepless night, the body cant replenish cells and maintain homeostasis to avoid internal havoc. Without the body working like a well-oiled machine to fix the daily damage it accrues, it begins to suffer physically. Increased seizures, changes in growth, and blood pressure are all things bodies experience under these conditions. The damage of deprivation moves slowly throughout the body as it changes and matures. Although the process is slow, the body will begin to display the effects of sleep negligence over time. This can have lasting neurological effects, causing a loss in cognitive, or mental skills. Experts suggest that children from the ages of five through ten should get an estimated amount of ten to eleven hours of sleep daily. Though this is the recommended time for children in this age group, often times this age group gets about estimated nine and a half hours of sleep. Similar to the five to ten age group, most high school students fail to get the proper amount of sleep every day. On average, high school students get a total of seven hours of sleep. Although these students typically endure their level of fatigue, experts recommend about eight to ten hours of downtime. Getting the proper amount of sleep can have a positive impact, and change peoples’ lives for the better.